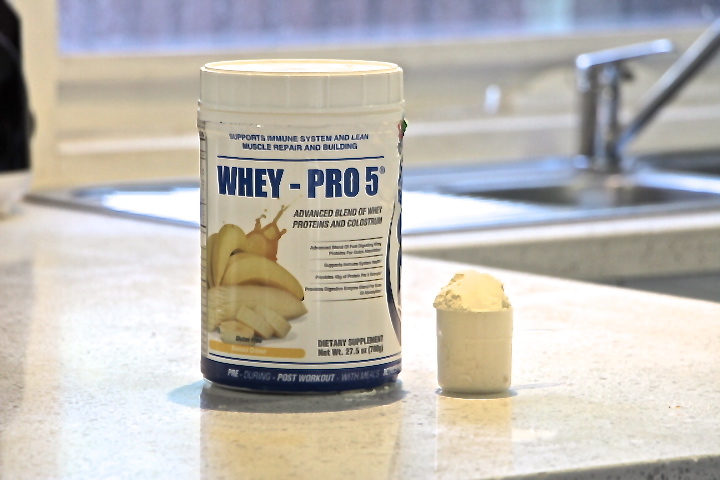 This week we take a moment to review Whey-Pro 5 Protein from PNP Supplements. Finding the ‘right’ protein powder can be an absolute nightmore for some people. With so many brands and products to choose from, it’s almost impossible to find out the pro’s and con’s from each protein powder available on the market. As a result, I try to make things easier for myself when choosing a protein powder, and usually go with a brand that is low in sugar, is made up of natural ingredients, and offers value for money. In addition, I try to stay away from some of the more commercial brands, and am more than happy to try protein from a smaller company run by someone who has knowledge in nutrition and fitness. So of course, when I heard about PNP Supplements Whey-Pro 5 Protein, I was keen to try out the product. For those unfamiliar with PNP Supplements, they are a US based compnay that have been involved in the fitness industry since 2010. PNP Supplements prides itself on producing drug and steroid free supplements, as well as high quality, natural products, free from any unwanted chemicals or drugs. 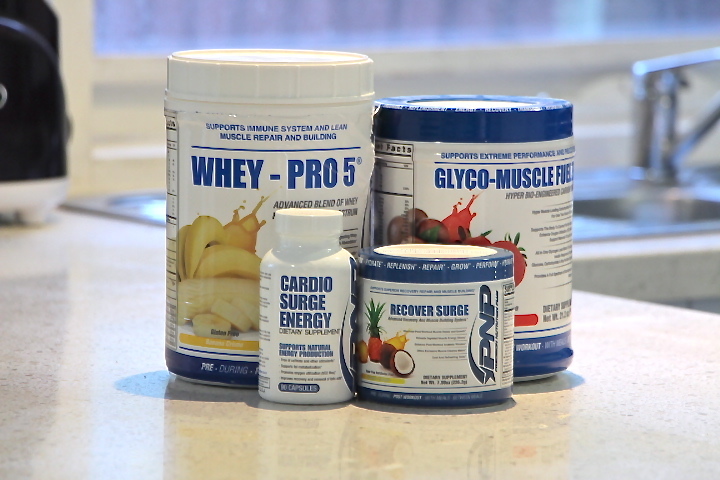 Earlier this year we published a Product Highlight video on a number of PNP’s supplements, including the Whey-Pro 5 Protein. Ingredients: The Whey-Pro 5 Protein from PNP Supplements has a very solid blend, and the ingredients are what you should expect in most leading proteins. 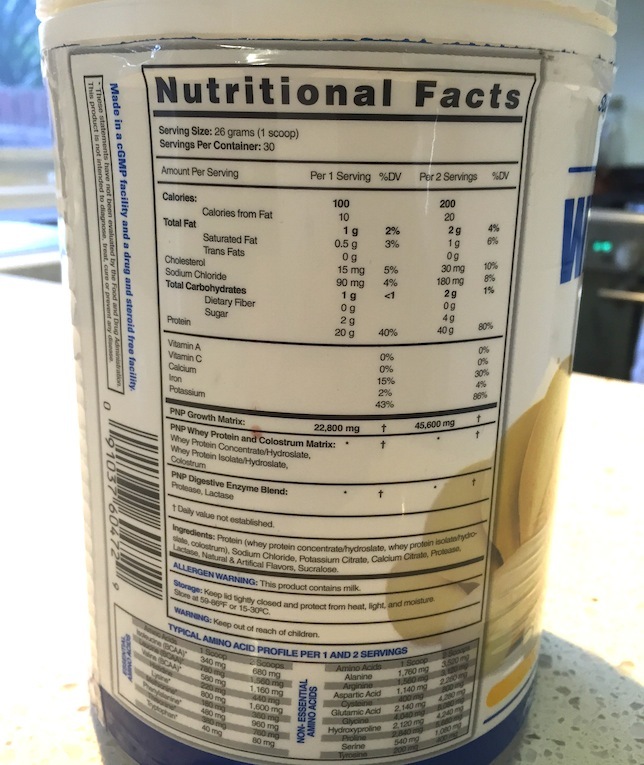 It is a blended protein, meaning you can expect a bit of concentrate protein, but the protein is very clean with very low levels of fat, carbohydrates and minimal cholesterol (according to the ingredient profile – pic below). Each serving offers 20 grams of protein, made up of whey concentrate, isolate and hydrolysate. It is also gluten free. In addition, each serving comes with an added boost of colostrum, which isn’t found in too many protein powders. Colostrum: For those who don’t know, colostrum is the thin fluid produced by breastfeeding mothers. Research shows it can improve ones digestion, increase your immune system, and improve your overall wellbeing among many things. PNP Supplements’ Whey-Pro 5 Protein contains colostrum as well. Each serving of thier protein contains around 2-3 grams of colostrum. In my opinion, colostrum is a quality ingredient and one that i’m excited to see included in any protein I take. Taste: PNP Supplements’ Whey-Pro 5 Protein comes in a banana creme flavour, which I personally found to be quite enjoyable. Unlike some other proteins I’ve taken in the past, I actually enjoyed drinking the banana flavour and never found myself forcing it down. Sometimes when I doubled the serving size, the taste was a bit strong, but for a standard serving, the flavour is quite nice and easy to drink. Digestion: I never expereience any stomach issues, gut problems, cramps or reflux while taking this product. On the flipside, I didn’t experience any noticable improvements with my digestion (which colostrum is believed to assist in), but shouldn’t really expect that when taking protein. Bottom line is I had no stomach or digestive issues with the Whey-Pro 5 Protein. No Side Effects: It’s hard for me to measure how effective the Whey-Pro 5 Protein is as i’ve always found it difficult to determine. While protein can be great in increasing recovery and facilitating muscle growth (among other things), I still believe the effort you put in during training counts the most. Either way, I experienced no side effects (mental or physical) while taking the product. My body responsed well to it, and it seemed like my muscles did too. Price/Value: A 780 gram tub of Whey-Pro 5 Protein will cost you around $52-$56 USD depending where you buy it (PNP Supplements website, Amazon etc.). Each tub contains 30 servings with each serving containing 20 grams of protein. In addition, PNP also recommends taking 2-3 servings a day when training fully, meaning you could go through a tub in less than two weeks. Compared to some other protein powders on the market, $50USD for two weeks of protein is a bit steep and more expensive than some other brands. 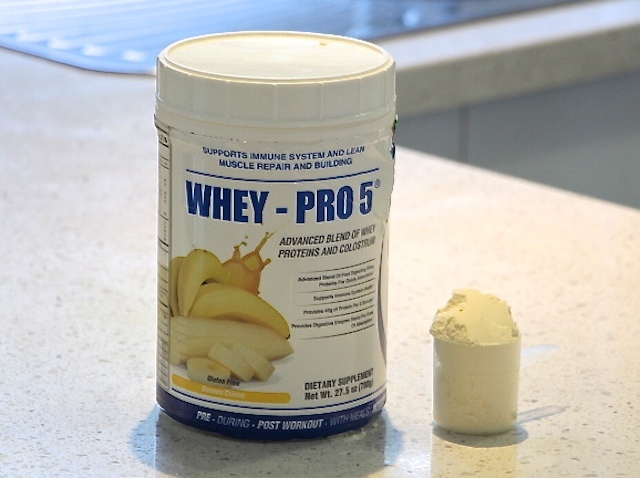 Appearance/Labeling: When I first got my hands on the Whey-Pro 5 Protein, the first thing I did was take off the wrapping so I could have a serving. Little did I know the plastic wrap that goes around the tub is the actual labelling, and the tub itself is plain white. As a result I had to keep the plastic on the tub to read the ingredients and other info about the product. Personally, I found the wrapping to be a bit annoying as it would regularly slip and it kind of make the product look a little cheap. I know it’s only a small gripe, and it has no effect at all on the effectiveness of the protein, however, it would be good to see the labelling on the tub itself, or at least a snugger fit for the wrapping. Mixture/Dosage: Overall, the Whey-Pro 5 Protein powder was fine and mixed well enough with most drinks I made. However, it’s not the best mixing powder i’ve used. There were a few times when I had to stir and shake my drink a few extra times to ensure it was all mixed in. Sometimes i’d also find notice a few small pieces of clumped powder at the bottom of my drink. That being said, if you shake and stir a bit more it will eventually mix in fine. Lack of Flavours: At the moment PNP Supplements only offer one flavour for thier Whey-Pro 5 Protein and that’s banana creme. Luckily, I like bananas and most banana flavours. However, if you’re not a fan of banana flavour, then unfortunately, you don’t have an alternative. It would be good to see a few additional flavours released in the future. 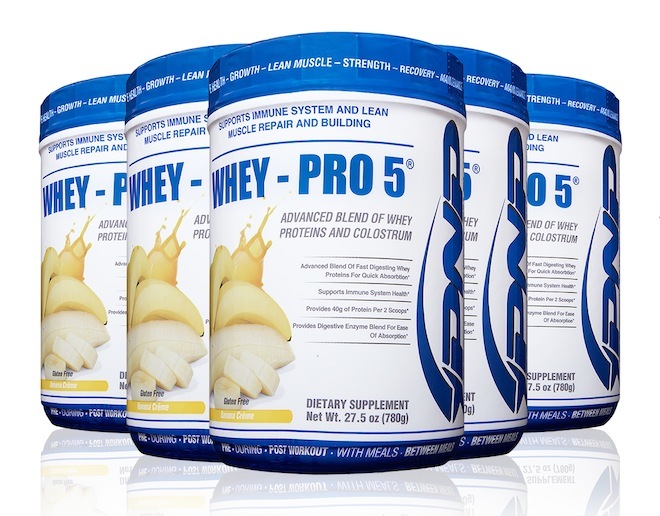 In summary, I had a positive experience while reviewing PNP Supplement’s Whey-Pro 5 Protein. I enjoyed the taste of the protein, didn’t experience any digestive/stomach issues while taking it, and the ingredients were low in fat, sugar and free from any unwanted chemicals and drugs. While it may be a little more expensive than some other protein powders on the market today, it does come with colostrum and isn’t THAT expensive. It’s still quite affordable, even for those on a budget. As I mentioned above, it’s hard for me to accurately test the effectiveness of the protein, as protein is essentially just protein at the end of the day. But in terms of what I expect from protein, it ticked al the boxes and i’d have no hesitation in recomending Whey-Pro 5 Protein to others. Unless of course, you’re not a fan of banana flavour!